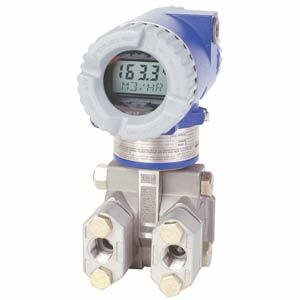 The Foxboro® brand I/A Series® Model IDP10 is an Intelligent, two-wire d/p Cell® transmitter that provides precise, reliable, measurement of differential pressure, and transmits a 4 to 20 mA output signal with a superimposed HART digital signal for remote configuration and monitoring. Simple, elegant sensor packaging, with very few parts achieves exceptionally high reliability. Transmitter available with traditional or low profile structures (see photos above). Aluminum housing has durable, corrosionresistant epoxy finish; 316 ss housing also available; both meet NEMA 4X and IP66 ratings. Can be provided as a sealed measurement system with numerous configurations of direct connect or capillary connected seals available. Optional mounting bracket sets allow pipe, surface, or manifold mounting of transmitter. Remote configuration with HART communication protocol in a single loop or multidrop mode; or locally via optional LCD indicator. Multi-marking is available for FM, CSA, and ATEX intrinsically safe installations. The user determines and permanently marks on the data plate the certification to be applied. User-entered cutoff point from 0 to 20% of maximum flow.